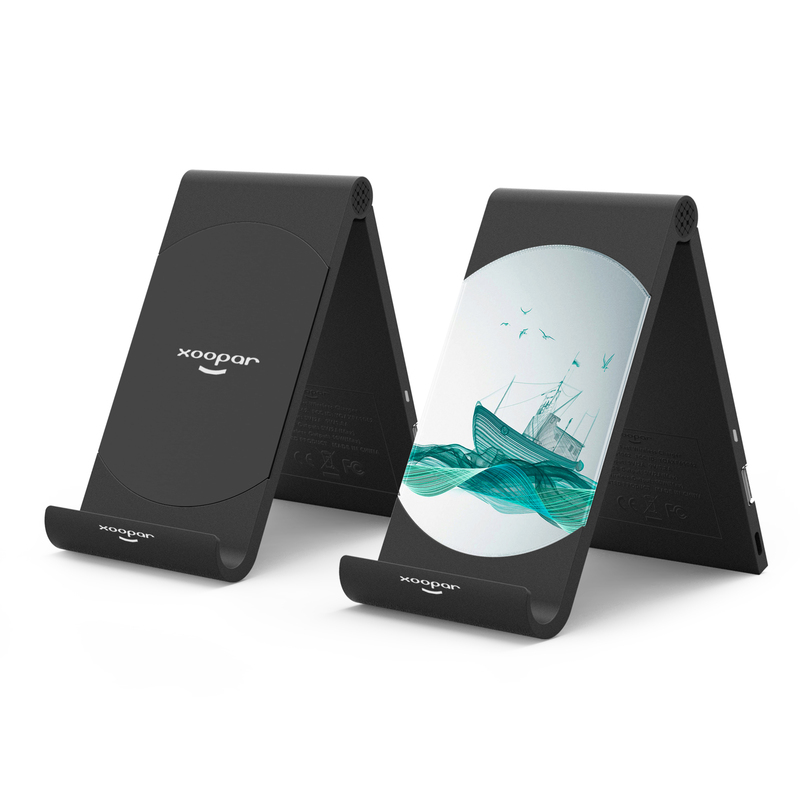 Folding design with amazing branding options. 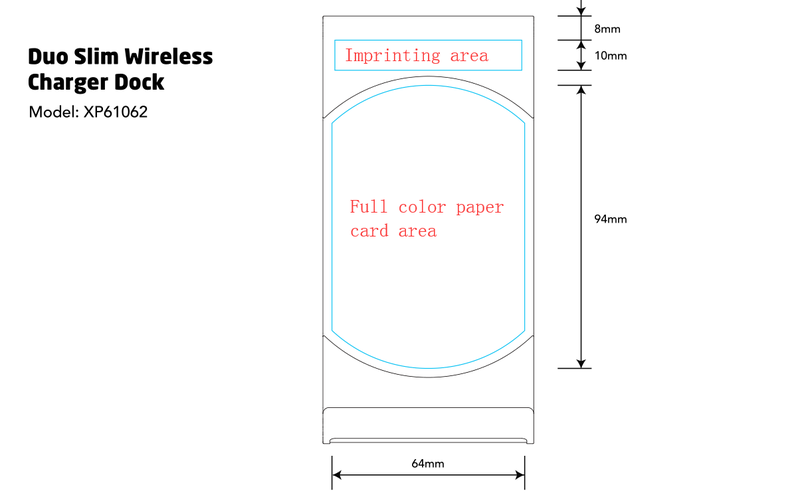 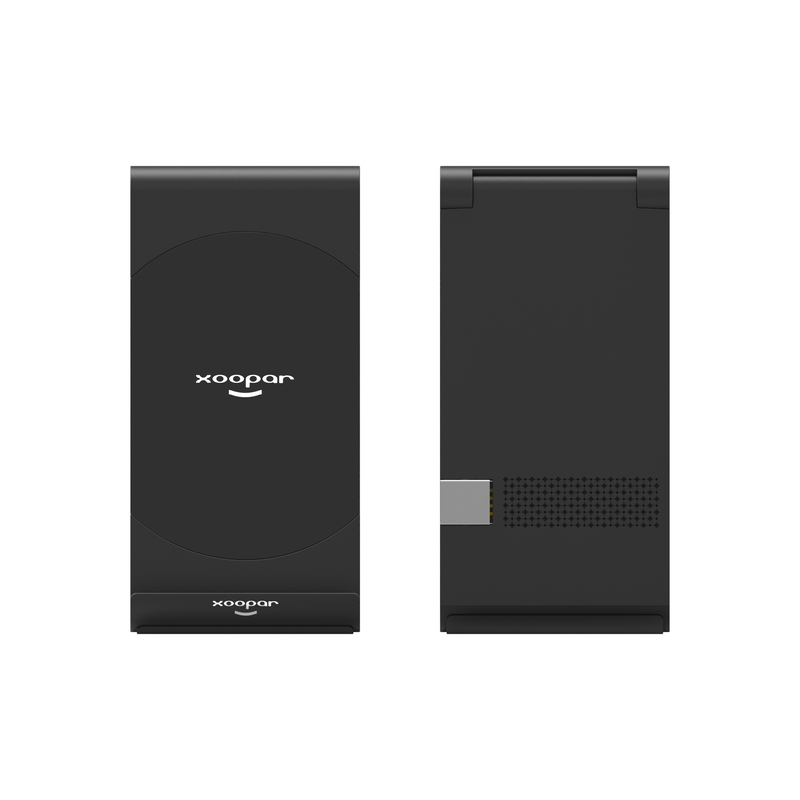 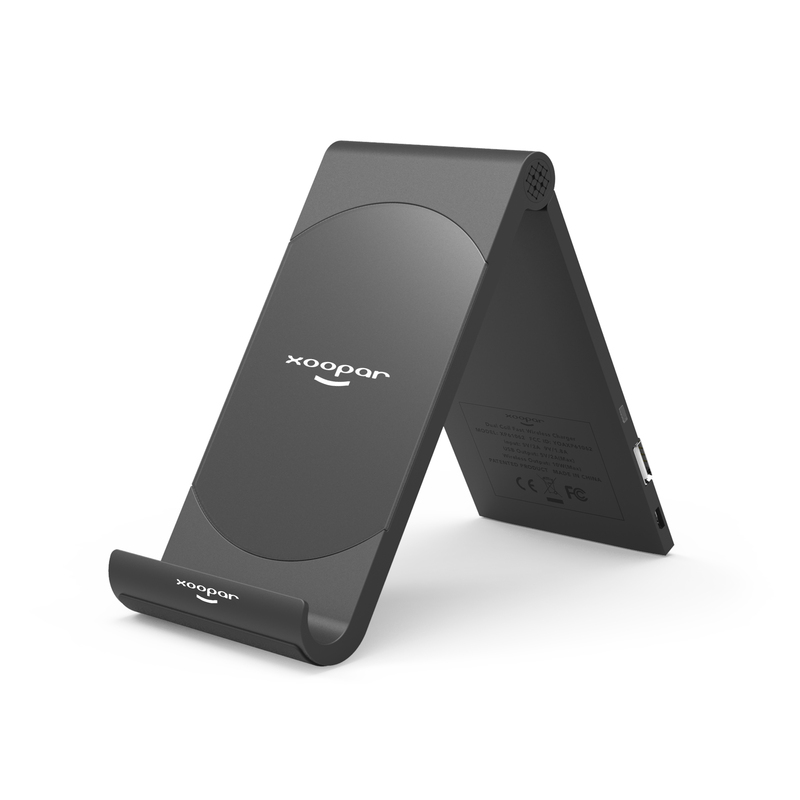 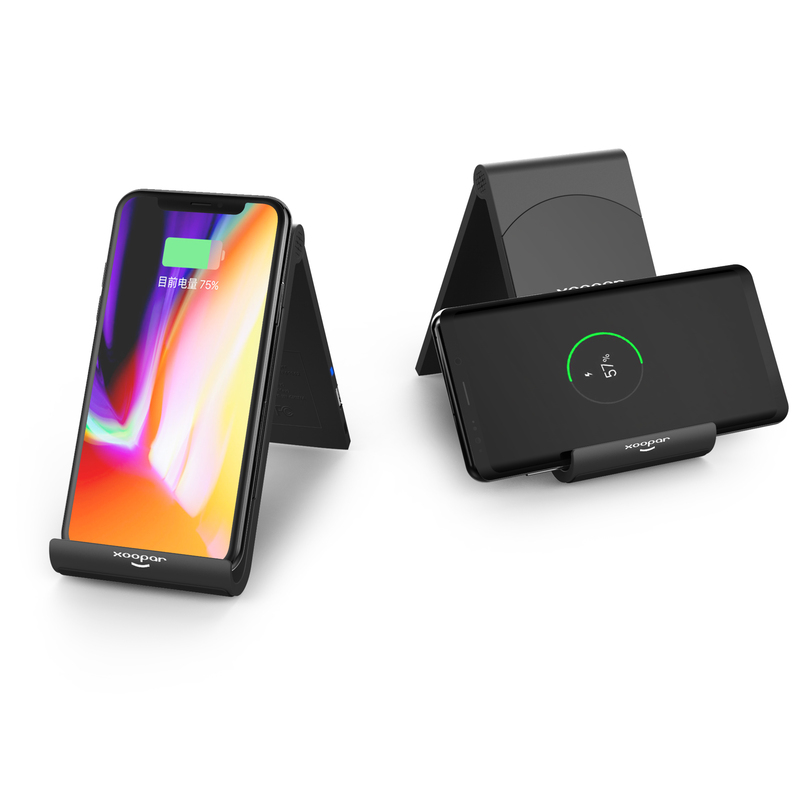 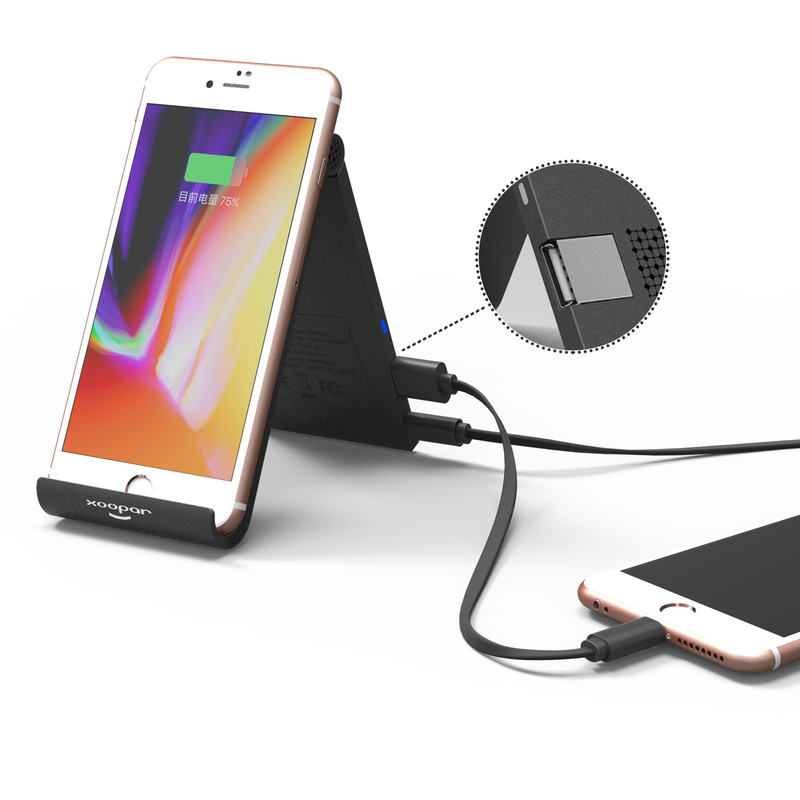 High powered yet compact wireless charging stand (10W) that allows for simultaneous wireless and wired charging. 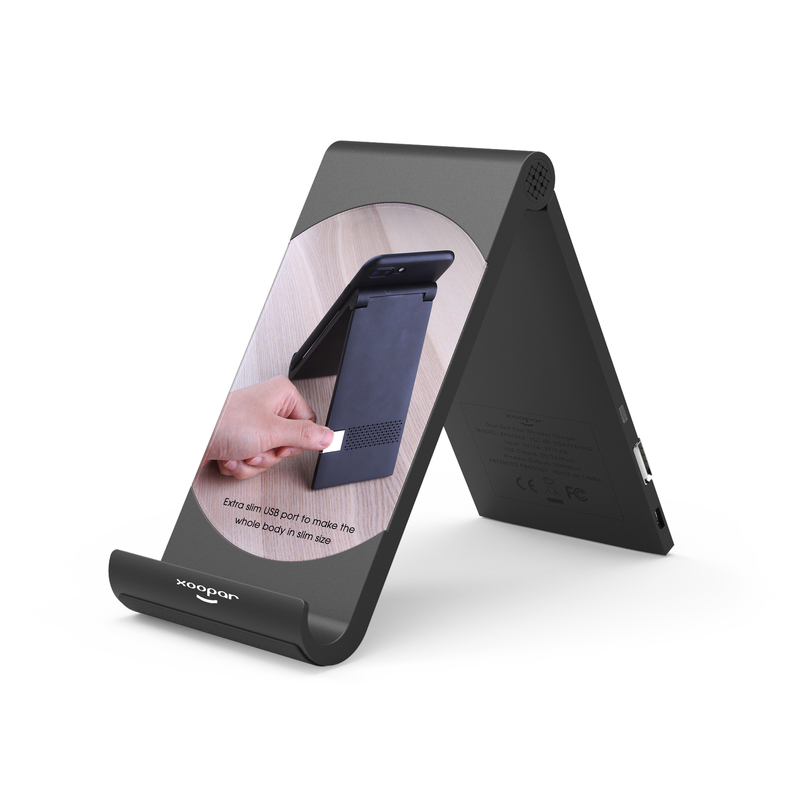 The large full colour print area in photo frame style and the possibility to charge your phone vertically and horizontally, make this Xoopar item an absolute branding masterpiece!